The CBI reported that August has been a disappointing month for many retailers. 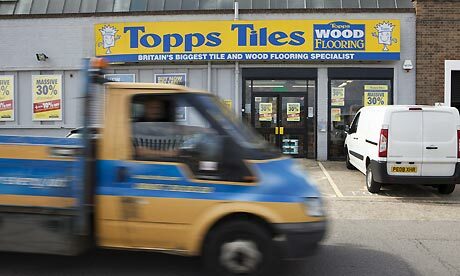 The news came as flooring firm Floors 2 Go fell into administration, Topps Tiles posted a profits warning and the Co-operative Group reported that trading conditions were the toughest in four decades. The latest CBI Distributive Trades Survey found that 46% of retailers suffered a fall in sales in the first half of August, while just 31% saw turnover rise. The resulting balance of -14 is the worst monthly performance since May 2010. The CBI also reported that many retailers are now cutting back on investment spending, with the threat of a double-dip recession looming. Analysts predicted that the riots that hit several UK cities this month would also have hurt retailers. “As the pressures of inflation and rising utility bills continue to bear heavily on consumer spending, conditions remain difficult for retailers and this month’s riots are only likely to have exacerbated the situation,” predicted Richard Lowe, head of retail and wholesale at Barclays Corporate. Lowe added that some retailers have already been driven into launching Christmas displays to drum up sales. The CBI also found that a balance of -11% of retailers said they felt more negative about the business situation over the next three months than they did three months ago – the most negative results for 18 months. The data chimes with research published this morning by the Nationwide Building Society, which showed that shoppers are holding back from making “big ticket” payments. Tax increases, weak wage growth and higher energy bills have combined to dent consumer confidence. The Co-operative Group added to the gloom on Thursday by reporting a 10% drop in underlying operating profits, with its food arm suffering a 21% slump in profitability. Peter Marks, its group chief executive, said the challenging business climate was “the worst I have seen in over 40 years of retailing”. Thousands of jobs have been lost across the retail sector in recent weeks, with several firms going bust. On Thursday, Floors 2 Go announced the closure of 53 stores with the loss of almost 200 jobs. The company is now in the hands of administrators, who blamed the firms’s demise on the general downturn over the last 12 months, and a lack of consumers with disposable income. Topps Tiles also blamed falling consumer confidence, as it reported a 10.4% drop in revenues over the last seven weeks. Shares in the company crashed by 25% after the company admitted that it will not hit City forecasts for the current financial year.